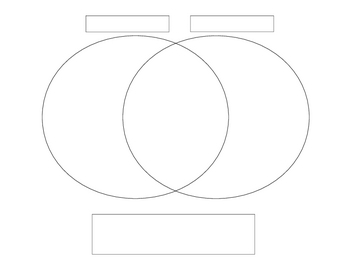 My students think I am the queen of Venn Diagrams, and get tired of filling them out. But I guarantee that after a year in my class, every student can identify material in text that is comparing different items or events and they can pull out specific points of comparison or contrast. With all this practice, most can also write excellent comparison paragraphs. This download is a simple blank Venn Diagram with space for an overall title and spaces for the two things that are being compared.